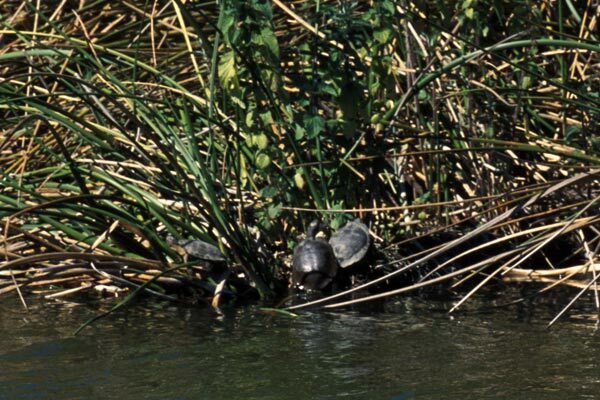 There aren't too many places along the California coast where it's easy to find turtles anymore, but Pescadero Marsh still has a healthy population. This species was until recently considered part of the genus Clemmys. This tiny little guy was just a couple of inches across. It was sunning itself right near the edge of a river, keeping a wary eye on my camera and tripod. 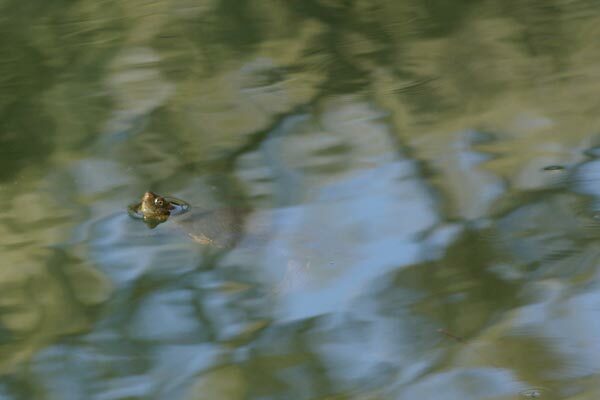 When I got too close, it would swim down to the bottom for a few minutes. 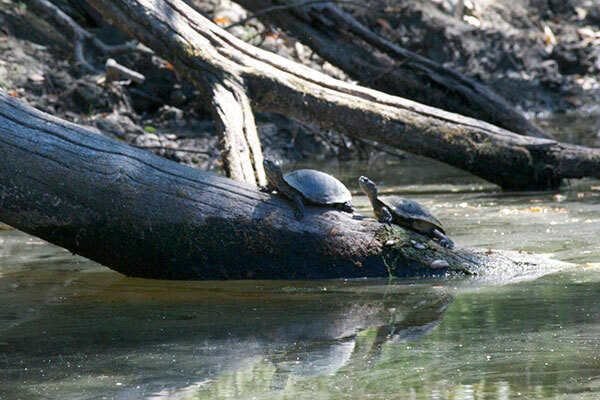 Any day upon which you see wild turtles is a happy day, and this was no exception. 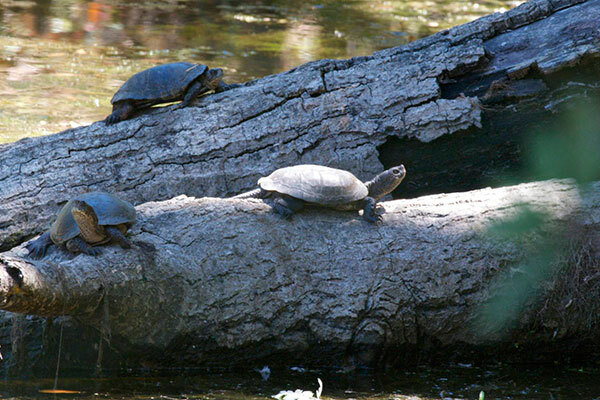 We saw 8 or 9 adult turtles on the edges of Oso Flaco Lake, basking in the sun. Unfortunately they were all pretty far from us, so I couldn't get a very good photo. 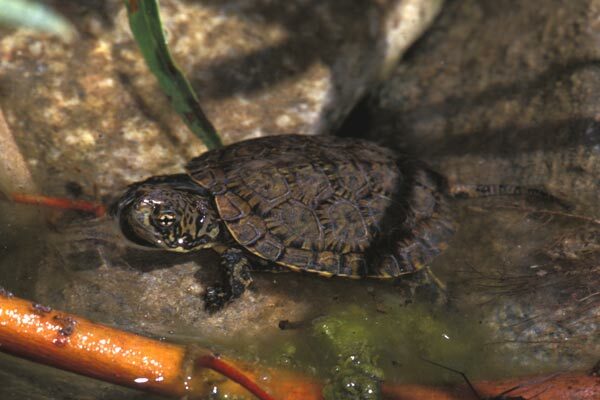 On a warm winter day, my friend Fred Harer and I were pleasantly surprised to discover a pond with quite a few pond turtles drifting about. 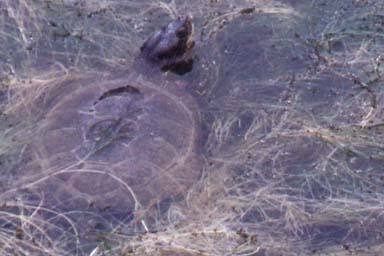 The same pond a few years later had several pond turtles hauled out on partially submerged logs. They were very difficult to approach closely; they would slip into the water the instant they were aware of my presence. James Maughn showed me this pond in which native and non-native turtles commingle. 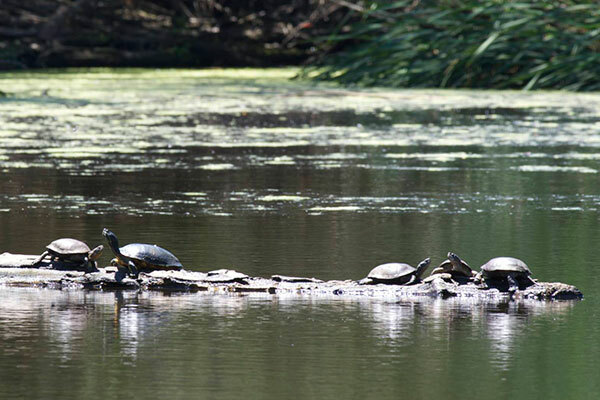 In this photo, the second turtle from the left is a Red-eared Slider, and the other four are Western Pond Turtles.